Part-time administration assistant Anne Hardy, 52, used to spend her entire weekend trying to shake off feelings of guilt, anger, frustration and anxiety. The busy solicitor’s office, where Anne worked, was under threat of closure which meant that staff members felt under considerable pressure. Her office was about to merge with another branch, and there would be redundancies. It wasn’t long before the added concern of keeping hold of a job began to have an impact on Anne’s health and home life. “I felt like a pressure cooker most of the time. By the time it got to Friday I was ready to let off steam in a big way. I did this for so many years that it began to feel like the mood changes were part of my natural personality”. Mother-of-three Anne, from Leicester, had been working full-time hours since her youngest son started secondary school. Although her husband also worked long hours, the couple felt permanently stretched financially. Because Anne’s job was under threat she decided to find a part-time evening job in a local pub. After three months of working two jobs and having to also run a home, Anne began experiencing anxiety attacks. “It didn’t happen every day but there was a period when my chest felt constricted all the time. I’d get tetchy and irritable and felt like I was shaking inside. Sometimes I would sweat profusely and other times I would feel really unsteady on my feet. It was such a scary experience that I didn’t hesitate to search for reasons why I felt this way”. Fortunately her sister-in-law Lydia had recently qualified as a Reflexologist, so Anne booked in for a few treatments. The four sessions she had were so relaxing that Anne decided to take a detailed look at complementary therapies. Anne purchased some reference books on Aromatherapy and some good quality essential oils. “I started experimenting with mixing oils into my night-time bath. Sometimes I even managed to persuade my husband Tim to massage my neck and shoulders, which is where I tend to carry all my tension and stress. I also burned oils around the house, so that I felt blanketed by relaxing essences which quickly reduced my anxiety levels”. Anne weighed up the family finances and decided that she would keep her pub job for a further two months, but instead of using the money to supplement the household income, her husband had agreed that Anne should use it to enroll on an Aromatherapy Massage evening course. The 12-week course provided a good introduction to working with Aromatherapy and oils, and inspired Anne to book on to a practitioner’s course. “As soon as I removed the pressure of having two jobs my stress seemed to ease off a little. I was still worried about losing my office job, but I was doing all I could to hang on to it. In the meantime though, I had found something which eased my stress and actually enabled me to relax at the weekend”. In the office shuffle Anne was offered a part-time role, which meant she would have to find an additional form of income to bump up her wages. 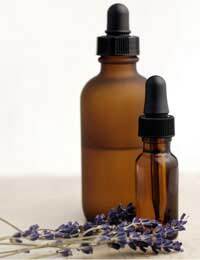 Qualifying as an Aromatherapist, has enabled Anne to combine her 3 days a week administrative position with two days treating clients from her own home.